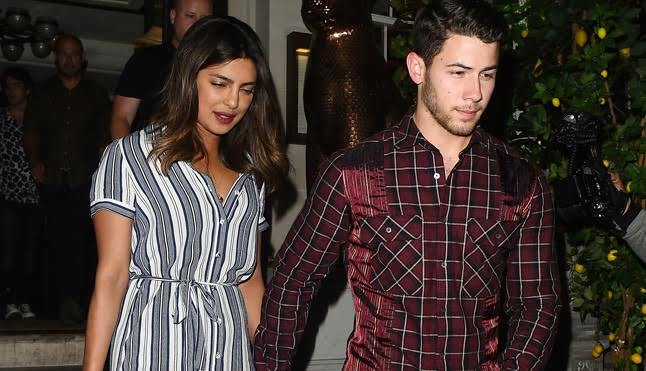 Bollywood actor and Quantico star, Priyanka Chopra and her fiance, American singer- songwriter, Nick Jonas of the ‘Jonas Brothers’ fame have obtained a marriage lisence from the Beverly Hills courthouse in Los Angeles,US. The couple got engaged in a traditional Indian ‘roka’ ceremony in the presence of their respective families in August this year. The couple plan to get the marriage lisence for their December wedding in India.Priyanka Chopra is set is marry Nick Jonas next month in a traditional Indian ceremony followed by a registration in America where the obtained marriage lisence will be filed for legalization in America. The wedding ceremony is reported to take place in Rajasthan’s Mehrangarh Fort. 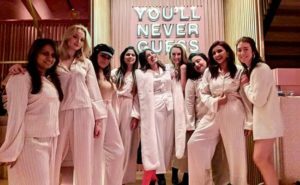 Recently, Priyanka Chopra have been in the news with her photos of bridal shower at New York’s exclusive cafe at Tiffany’s and Co. and another bachelorette party at Amsterdam. The only disappointing news is that Priyanka Chopra’s good friend, Meghan Markle,who is the Duchess of Sussex, after getting married to Britain’s Prince Harry, will not be attending Priyanka Chopra’s wedding in India because the princess is said to be pregnant and would not be travelling to India for security and health reasons. Priyanka Chopra had attended the royal wedding for Meghan Markle and Prince Harry in London earlier this year.